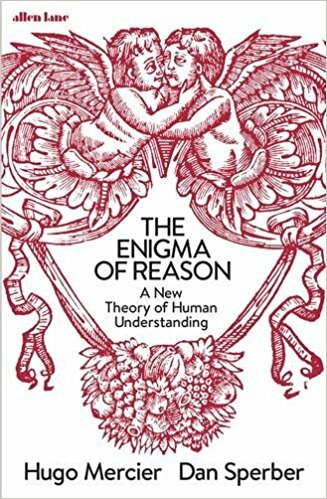 The Enigma of Reason: A New Theory of Human Understanding, by Hugo Mercier and Dan Sperber was published in April, and I have a review in this week’s Times Higher Education. The books follows on and expands on their landmark ‘Why do humans reason? Arguments for an argumentative theory‘, published in 2011 in Behavioral and Brain Sciences. You can read the full review on the THE site, but I highly recommend checking out the book. It’s a fantastic example of a book which has both theoretical depth and reach, connecting fundamental theoretical perspectives across cognitive science to give a provocative and satisfying account of the nature of human reasoning. You can also check out Hugo Mercier’s pages about the argumentative theory, which has links to experiments suggested by the theory (which have by and large confirmed predictions it makes).